How do you hope to quench your hunger when you are on a long vacation in a farther distance from your home? Making yourself a meal is one of the critical situations you have to face as a tourist while on a vacation in Peru. You wouldn’t want to go hungry, considering the fact that the Peruvian climate may be needing you to restore your lost fluid along with a warm dish. As it is, you don’t have to be worried, concerning how you will feed yourself or your family during vacation. Machu Picchu restaurants are out to take care of all sorts of needs, relating to hunger and thirst in the Peruvian tropical climate. So, some of the restaurants you can visit quickly for your meal services during vacation are explained below. One of the challenges of going out on a vacation is being forced to take meals outside your diet. Are you a strict vegetarian who is afraid of switching over diet all of a sudden because of a quick vacation? If your answer is yes, then El Mapi restaurant has come to your rescue. There are meals that are solely vegetarian spec coupled with other cuisines being preferred by clients during a vacation tour. With a wide interior décor, families can enjoy unlimited space together without getting stuffed, as they wine and dine in the joy of the Peruvian atmosphere. There are several food options you can choose from when you have a family coming along with you on vacation. Perhaps your children are obsessed with pizza or the smell of it, you rest assured that you will savory all options that are available to you. For those that cannot be pleased with the idea of forcefully eating meat or dairy products, there is an option to go vegetarian. With an incredible staffing unit, you can expect nothing other than the best from this restaurant. Regardless of the number of clients you have brought in for vacation, everyone is treated professionally to the delicious delicacies of fresh vegetable, wines, and Peruvian dishes. Moreover, there are menu varieties which you can choose from as all activities are geared towards helping visitors relive good moments that may tempt them to think of not going back to their country. Another engaging aspect of this restaurant for visitors is that there are fruit appetizers that can be used to keep a company of visitors as meals are in preparation to keep everyone filled and satisfied. With a blend of music in the eighties and warm open fire attraction, you can enjoy meals in the evening with your families, as you listen to the melodious sounds of music from the twentieth-century musicians. From good food to pasta, vegetables and Italian dishes, you can expect nothing other than this best from this restaurant. The members of staff are always on the alert to come to your aid when you are in need of extra food items such as pizza and other desserts which you will find irresistibly delicious. Irrespective of what you intend buying as a tourist, you rest assured of spending far less income as expected, because of the affordable services. In the course of experiencing a nice environment with a therapeutic view, Alpakay has one of the best staffing units in Machu Picchu. At any time of the day, you can be treated to the best cuisine from the Peruvian food collections which are nicely prepared by the best chefs. Moreover, you can also have a good beer to chill with your friends as you are engrossed in dealing with this grilled Alpaca which is one of the most sort after meals in this restaurant. If you are looking for a place in which you want to wine and dine, this is the right place to start off your fun. The restaurant is located at the far end of the street, allowing visitors to troop in large numbers to get a feel of the great venue, the delicious meals and the dining experience, which are as the result of the quality staff that is always at the service of clients. Moreover, you cannot expect anything less from their services because every customer’s request is treated with the most unique detail to provide the best food service for tourists visiting Peru for the first time. Are you looking for a place in which you want to get freshly backed meals? This is the restaurant you can turn your attention to as there are great chefs that can treat you, your family or friends to a high-quality Peruvian food which you will keep desiring to have over and over again. The corn soup is the part of food item you wouldn’t want to miss out on. 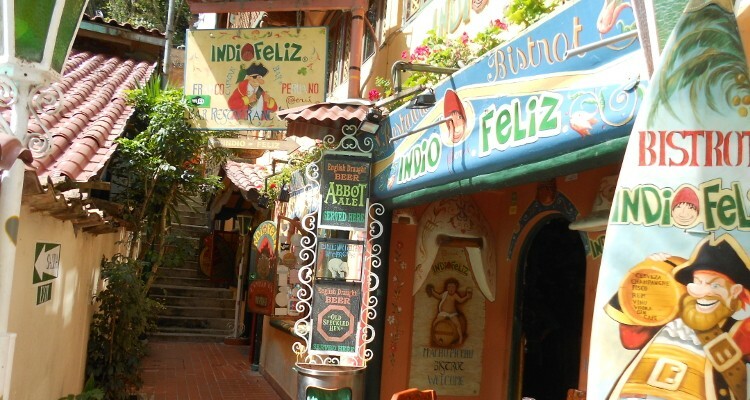 Are you visiting Machu Picchu for the first time and you are in search of a restaurant that can take care of your daily needs as you tour around with a guide in Peru? You don’t have to look far away as there are countless number of restaurants you can choose from, in order to meet with the demands of your daily meals. Moreover, one remarkable thing about Machu Picchu restaurants is that you will always get your food ready and fresh whenever you walk in into any of these places to satisfy that hunger, which has kept your quiet within the short period.